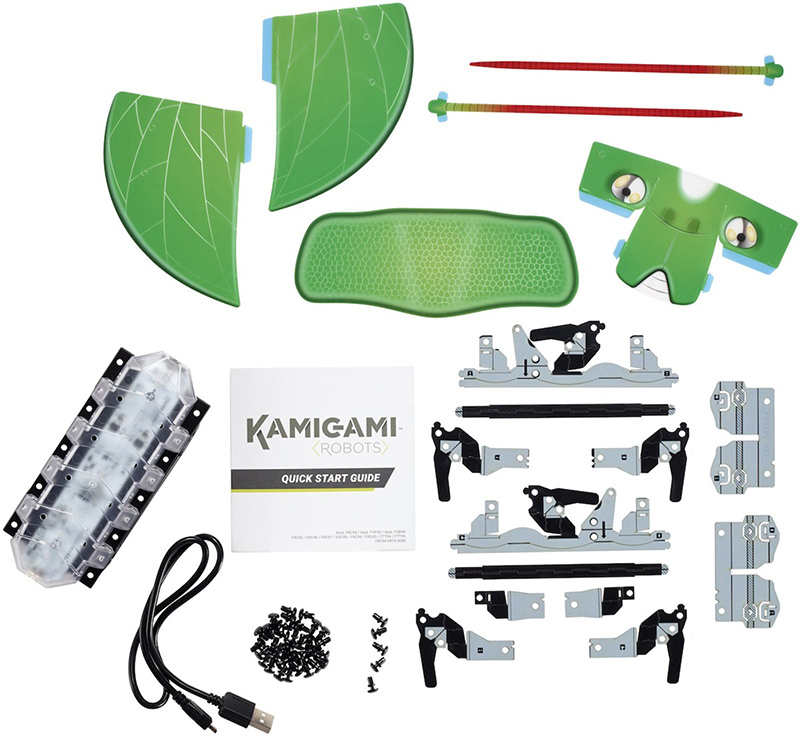 Kamigami is an engineering set that is easy for kids to build, program and play. Kids can create a robotic bug in the likeness of insects such as a praying mantis or ladybug with flat sheets of durable plastic and a motorized base. Once assembled, the Kamigami can be programmed through an easy-to-use app that allows kids to customize their robot’s unique movements and reactions. Kids can design how the robot interacts with them, its environment and other Kamigami Robots. In addition, they can use the free companion app to drive, race, or battle their Kamigami. The visual programming interface makes it easy to blink lights, play sounds and maneuver around obstacles. The app will continually offer new updates and game suggestions. Built by robotics engineers, Kamigami supports coding logic used in hardware and software programming. The robotics technology was inspired by Dash Robotics co-founders Nick Kohut and Andrew Gillies biomimicry work, an innovation that seeks solutions to human challenges by emulating nature’s time-tested patterns and strategies. As Kohut and Gillies created robots that mimicked the motions of insects and animals in their lab at UC Berkeley, they concluded that not only could this kind of technology benefit industries and mankind — it could also be fun for kids to play with. 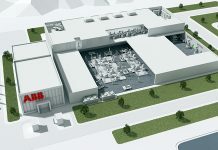 Mattel’s collaboration with Dash Robotics is part of the company’s effort to evolve play by developing connected technology platforms. Dash Robotics was started by two UC Berkley Ph.D. graduates, who previously used their expertise in robotics to complete projects for the U.S. Army and NSF. There will be eight types of Kamigami available at launch, including ones that resemble lady bugs, praying mantises, scorpions and more with the ability of users to change the look of the Kamigami Robot with shell packs. The Kamigami Robot has a 3-axis accelerometer, 3-axis gyroscope, IR transmitter, two IR sensors and tri-color LEDS. The battery is a rechargeable lithium polymer with playtime up to 30 minutes.